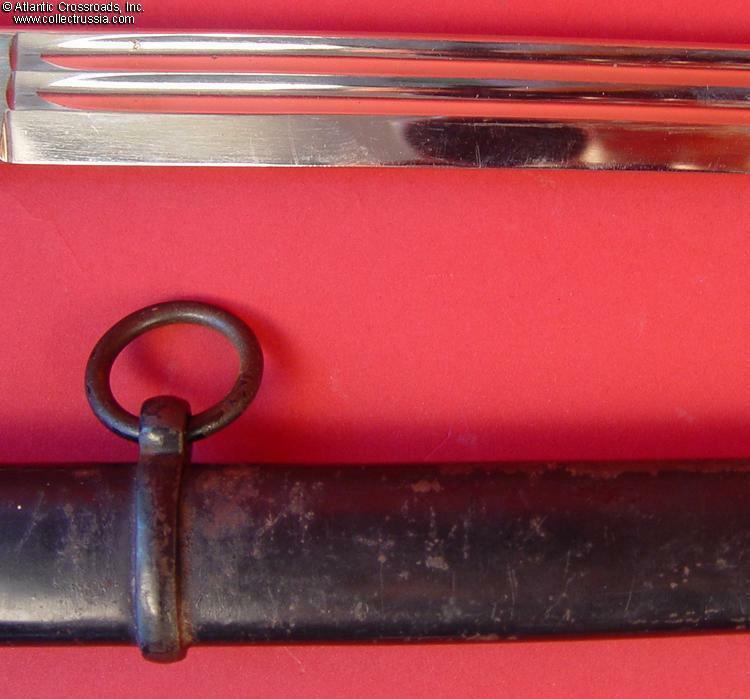 Imperial Prussian Infantry Officer's Sword, 33. 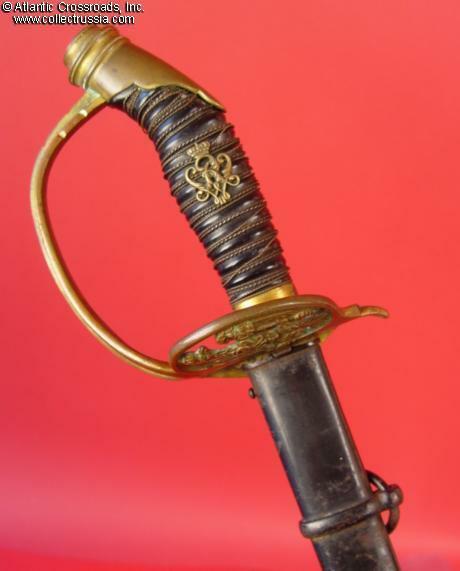 Imperial Prussian Infantry Officer's Sword, 33.5" blade. Very good to excellent condition, showing wear and age. Some spotting and scratches to blade near tip. 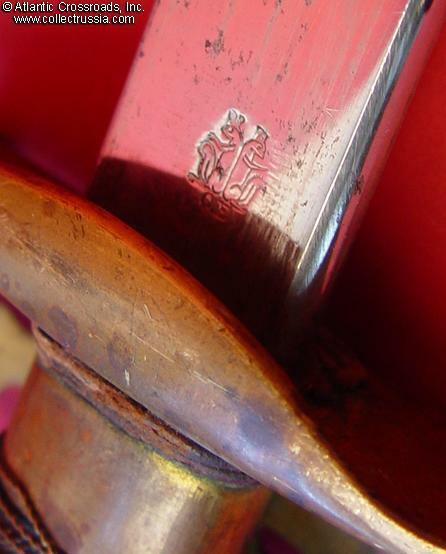 Paint to scabbard is original and about 95%, no dents. One throat screw missing. Wire wrap to grip is a bit loose. Some original gilt finish remaining. There were two main versions of this sword. 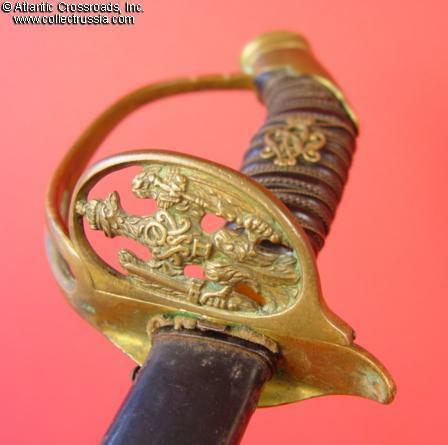 This is the type with a hinged guard that could fold up against the grip, making it easier for an officer to pack the sword when traveling in civilian clothes. Inside the hinge there was a spring that would hold the guard either up or down; as frequently happened with this model, the internal spring snapped decades ago. 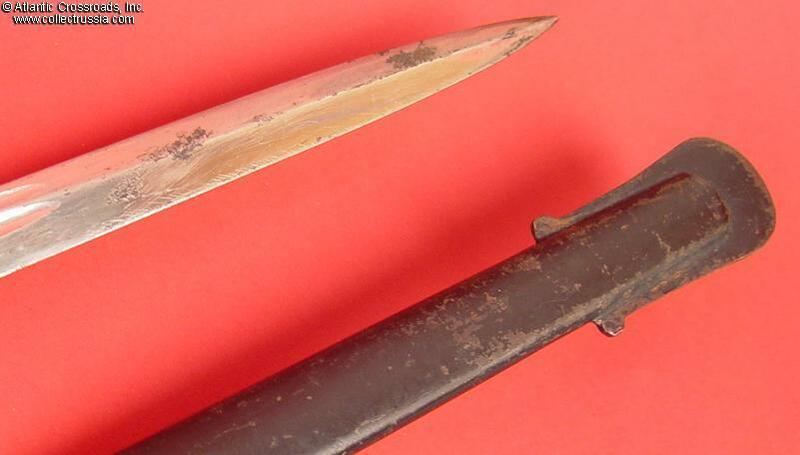 The hinge securing the guard plate to the grip, however, is still fully functional and, when displayed, the guard will rest naturally in the down position and look quite "sharp." 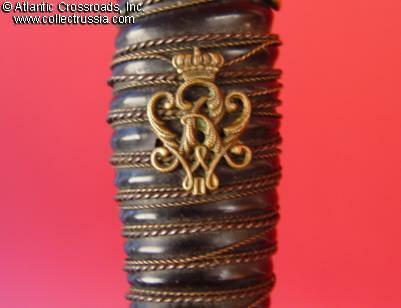 A very nice display sword, perfect for a WW I or circa 1900 Imperial collection.